20K MILES! ONE OWNER, CLEAN CARFAX, NO ACCIDENTS! 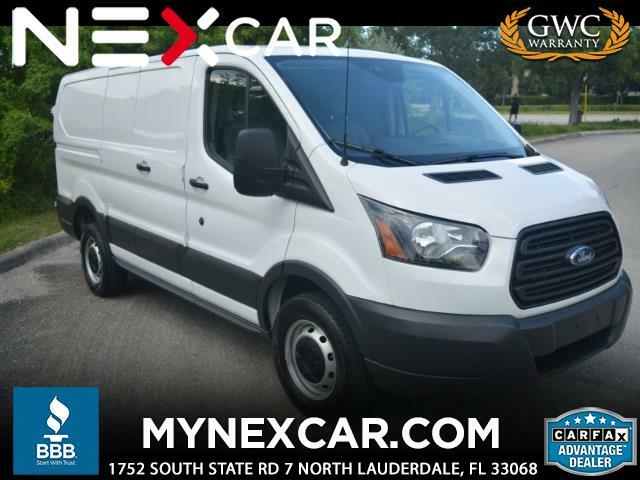 2018 FORD TRANSIT 250 LOW ROOF 60/40 130-in. WB AUTOMATIC CARGO VAN. WHITE ON GRAY LEATHERETTE. FEATURES BLUETOOTH CONNECTIVITY, REAR VIEW CAMERA, 3.7L V6 DOHC 24V ENGINE, POWER WINDOWS/LOCKS/MIRRORS, EXTRA CLEAN CARGO AREA, ICE COLD A/C, OWNER'S MANUAL AND MUCH MORE! All eligible cars will have extended warranty available. We sacrifice our profit to ensure your peace of mind. We have Financing available!!!! All of our offers are subject to credit approval!!! ** Dealer disclaimer all vehicles are subject to prior sale. While every attempt has been made to ensure the accuracy of the data displayed, the dealership is not responsible for any errors OR Omissions. Internet Prices are based on Cash Purchases Only. Prices do not include $899 dealer fee, applicable sales tax, title, registration fee $98.25 certificate of title fee and $147.95 Electronic Filing fee. Every vehicle comes with a complimentary CARFAX report. Feel free to take the vehicle to be inspected prior to purchase. There is a $750 Draft Fee for customers financing with their own lender. Visit NexCar online at www.mynexcar.com to see more pictures of this vehicle or call us at 954-971-5500 today to schedule your test drive.